WHICH LOW COST FRANCHISES SHOULD YOU INVEST IN? If you are interested in starting a business one of the easiest ways to generate almost instant sales is with the help of a franchise that you can invest in. Investing a brand name franchise can often come with the results of an instant brand recognition and with standards to help you build a business quickly. Rather than having to figure out all of your business operations, you can have a standard practice that’s working for other businesses and a series of great improvements for your startup. The big problem that many new business owners run into is that franchise fees can often be quite expensive. If you’re hoping to start a fairly low cost business, these barriers to entry can stop you. In this article we are going to go through some of the top low cost franchises that most entrepreneurs can afford. Remax began in 1973 as a real estate firm in Denver Colorado. They been franchising since the year 1975. They have an estimated 7930 Remax locations worldwide with over 100,000 agents. Remax was originally founded by Dave and Gail Liniger. Today it’s a publicly owned and traded company on the New York Stock Exchange. What Does Re Max Stand For? The name of the company is short for real estate maximums. 7973 Offices can be found worldwide in 100 countries. The company has grown considerably in the last few years with its revenue set for a huge upturn. With $177 million in profits throughout 2015, their revenue has improved by a sizable chunk every subsequent year. How Much Does It Cost To Buy A Re Max Franchise? The estimated total to buy a Remax franchise is $40,500 with the higher and being around $284,000. With such a trusted name, the profit potential with Remax is at an all time high. The initial franchise term is five years and most people are generally able to get their franchise fee back after making their first few real estate sales. 2) JAN-PRO FRANCHISING INT’L. INC.
Jan Pro is one of the fastest growing commercial cleaning franchises worldwide. It started 25 years ago in Georgia and has continued growth internationally. There are now over 10,000 franchises available with an emphasis on country master franchises to improve the international reach of the company. Jan Pro has grown to be one of the number one international cleaning franchises with thousands of new locations opening up within the past year. How Much Does It Cost To Start A Jan Pro Franchise? Starting a home based business with the franchise requires just $1000 up to $5000 in down payment. Joining the Jan Pro franchise is actually quite inexpensive. Profits from a country master location can often be extremely high and provide a quick payback. It’s possible to recoup the $5000 maximum home payment after a few months of business. Cruise planners is a company that got started with American Express. It started in 1994 by Michelle Fee and two other travel industry veterans. The company is based out of coral Springs Florida. Today there are over 1000 locations for this low-cost franchise. The company has grown over the past five years opening hundreds of new locations. The investment in the franchise requires a $10,995 deposit. This can include the American express affiliation, training and more. The profit potential for this business is excellent as the affiliation of an American express travel representative on its own can cost $50,000. Through the training and the fees you can receive as an agent, you can make your franchise fee back in just a few months. The vanguard Cleaning system is an organization that got started in 1984. This low-cost franchise built up over the years to service over 15,000 commercial businesses and healthcare companies. The brand regularly makes the franchise 500 list in entrepreneur magazine. Vanguard cleaning now has 53 independent regional offices and over 3000 individually owned franchises. The company has seen extensive growth with the opening of five new independent regional offices in Canada and hundreds of new franchisees. The investment required for an initial franchise fee is $9180 up to $30,780 for the executive level franchise. For the janitorial franchise fee of under $10,000, you can make your money back quite easily by booking a few regular clients. 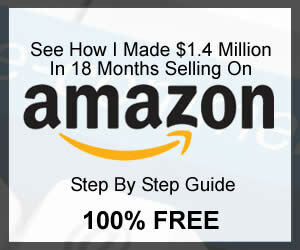 Most are able to start turning a profit with their business in just a few months. Anago Cleaning has been in business for 25 years and they’re based out of Fort Lauderdale Florida. The company specializes in commercial office cleaning, retail cleaning and event cleaning. They currently have over 1500 locations across the United States. Over the past five years the company has grown by over 300 franchises. This is a low-cost franchise with an individual investment of $10,440 and a high investment of $68,548. With regular clients through Anago Cleaning systems, you can enjoy a simple version of low cost franchises that has a quick rate of return. Chemdry has been operating since 1977. They’re a carpet cleaning franchise company that’s known throughout the United States as well as international locations today. The company operates with nearly 3500 locations across the world. They have seen steady franchise growth over the last five years. The company has had a few hundred locations open up outside of the United States. The investment required here can be extremely flexible. Chemdry even allows payment plans on a monthly basis at around $400 for the franchise fee. This can make the process of profitability with Chemdry, much easier to obtain. The average annual revenue for most franchises is around $94,000. This can be quite a boost in income if you are willing to invest in this franchise! Liberty tax is been operating since the year 1998 and they are now in a market with 50% of the American public asking for tax preparation assistance. Who Is The Owner Of Liberty Tax? Liberty Tax was founded by John Hewitt but it’s now a publicly traded company with subsidiaries. There are currently over 4,000 liberty tax service offices located across Canada and the United States. Over the last five years this low-cost franchise has grown by several hundred locations. More people are asking for tax preparation help and this is leading to a greater demand for the franchise itself. How Much Does It Cost To Buy A Liberty Tax Franchise? The initial fee for a liberty tax franchises around $40,000. There are additional fees for advertising and training as well. It generally takes just one tax season for a franchise owner to generate enough profits to make their investment back. Clean net USA has been in business since 1987. They deliver training, quality assurance and more to their franchise owners. The company has over 35,000 locations that are responsible for cleaning over 160,000,000 sq. ft. each year. The company has grown every year with new franchises added often. Their system has proven results. The investment ranges between $6,655 up to $92,000 for a major location. Dream vacations has been operating for over 25 years as a home-based business selling cruises and other travel packages. They provide a wide range of webinars and training to their staff members and the option to work from home selling their travel packages. There are 1100 franchise locations across the world and this is one of the world’s largest sellers of cruise vacations. The company has increased its growth over the past five years through more spending in advertising and promotions. Annually they are spending more than $5 million to generate brand awareness. This head led to its inclusion on our list of low cost franchises and for a growth from this company of several hundred franchises over the past year. The initial franchise fee ranges from $495 up to $9800 earning on the level of training that you require. After selling just a few cruises you can easily make your money back on the smaller franchise fees. H&R block represents one of the most stable franchise tax services available in the world. The company’s been in business for more than 60 years and has offices across North America. They have been when the number one ranked low cost franchises in tax preparation over the past few years. The company was originally founded by Henry W Bloch and Richard Bloch, today the company is owned by a parent corporation called the H&R Block Bank. There are currently 12,000 retail locations across the world for H&R Block. The company has seen a massive expansion over the past few years thanks to the demand for tax preparation professionals. More than 50% of people across the United States are now getting their taxes done exclusively at places like H&R Block. How Much Does It Cost To Buy A H&R Block Franchise? Franchise opportunities are available for between $31,000 and $149,000 depending on the size and the availability of resources in your area. It often takes just one tax season to start producing a profit with H&R Block. Pro formula is a distribution company based out of Cleveland Ohio that’s been selling franchises since the year 2009. They currently sell over 750 promotional products and printing products as a distributor acting in a franchise space. This is one of the most successful affiliate networks in America. There’s over 171 owners generating $1 million in profit each year with hundreds of others involved in the Proforma franchises. Hundreds of new owners have joined with their profits ranging up to $30 million per year. This is one of the best value low cost franchises on our list. The initial franchise is available for zero dollars and there is a fast-track marketing kit available for $4500. This low investment ensures that you can get started almost right away with your home based business. With some earners bringing in more than $1 million per year, this is a system that can be massively profitable for very little investment. Bricks for kids is a children’s learning franchise that can help you to build a proven business in 1 to 2 months. As one of the top low cost franchises available, this is a home-based business that will allow you to help kids learn with STEM style programs. Teaching these concepts for children between 3 to 13 using Lego bricks can improve problem-solving and more. There are hundreds of locations across the United States, Canada and internationally. Franchises as far as United Kingdom, Kuwait, Italy and Australia are available. The company has improved its international reach over the past five years with a series of marketing strategies. The franchise fees required for Bricks 4 Kids start in the low end at $10,000 and on the higher and $50,000. In most cases with regular bookings, this is one of the low cost franchises that can have business owners replenishing their franchise fee within just a few months. Jazzercise got started in the year 1977 and started franchising six years later. The company is a Southern California fitness class experience. It was founded by Judi Sheppard Misset and incorporated dance moves and aerobic exercise together. The company and the programs are now taught in 30 different countries. Instructors get certified before becoming franchised and there’s over 8000 people worldwide certified as franchise owners. Jazzercise has grown by over 2000 locations in just the past five years. The cost to enter into Jazzercise as a teacher is just $2500. You can open up your own Center for franchise fee between $9000 and $38,000. Selling regular memberships and drop-in classes can often have franchise owners profiting from Jazzercise within just a few months. Chester’s Chicken is a fantastic option on our list of low cost franchises as a branded food service program. The retail locations are known best for great tasting chicken and a proven business model. The company has been in business since the year 1952 and they’ve been franchising since the year 1965. The company is based in Birmingham Alabama today. Chester’s can be found on three different continents today. The company has changed its name to Chester’s international and currently has over 1000 locations across the world. Chester’s international has seen growth of several hundred locations in the past year. A number of shopping plazas and mall food courts have made them a staple. The low and investment that’s required for one of these restaurants is $185,000, on the high end you might expect to pay $414,000. This is one of the more expensive franchise locations on our list but that comes naturally in food service. Chester’s chicken restaurants can often be a profitable choice. Many of the top restaurants in busy retail locations can pull in revenue of $80,000 a month or more. N Hance is a wood renewal business that’s been operating since the year 2001. They are a division of Chem Dry which is a carpet cleaning franchise. N Hance Wood furnishing services have grown considerably to be the number one choice in America for refinishing hardwood floors, furniture and cabinets. The company now has over 500 franchises in operations throughout the United States. Over the past five years they have improved their growth by several hundred franchises and they are now one of the most trusted sources for Wood refinishing in the United States. The low-end initial investment is around $50,000 up to $71,000 for this would refinishing service. In most cases, profits or around $50,000 for most starting with this company. Many can make their franchise fees back within the first two years of operations. Heavens best has been in operation since 1983. The company offers low prices in cleaning services. They work primarily in carpet cleaning and they are known for being one of the most affordable franchises for startup in the USA in the carpet cleaning service sector. There are hundreds of locations across Canada and the United States today. The company has expanded throughout the United States in the East coast and throughout the West Coast with locations in central Texas, Nebraska and more. The investment for this cleaning company is just $34,900. It’s possible to reduce fixed loyalty fees to just $200 per month after the initial investment. With a fairly low cost franchise fee this is a company that can be easily profitable within the first year or even six months of business. Pillar to Post is a home inspectors franchise that’s been in operation since 1993. The company is available today over 49 states and in nine different provinces. They specialize in services for homebuyers and training professional home inspectors for serving as an asset in real estate investment. There are an estimated 550 franchisees that are available under this namesake today. The company has grown quite extensively over the past few years to include a competitive advantage in the home inspection market. They now have several hundred more home inspectors with the hope to expand internationally. The initial investment required is $32,100 for the business and franchise fees. With the average cost of a home inspection totaling around $315, just a few months of operation or a partnership with several real estate agents can help to make sure that you can see profits a few months after launching your business. Rooter man was established in the year 1970 under Donald McDonald. The company started franchising in the year 1981 and has become one of the number one drain cleaning franchises in the United States. The company now has 580 locations across Canada and the United States. They have seen massive improvements with success and growth. The company has seen growth and improvements of over 100 franchise locations in the past five years. Each Rooter Man franchise is 100% locally owned and operated with control from franchise owners. The low-end on investment is just $22,000 making this one of the best in the plumbing in cleaning low-cost franchises on our list. On the high-end it’s important to expect around $42,000 in investments. As the company provides specific training and dedicated support, you can work at making a profitable business within just a few months time. Homevestors is a franchise that buys houses and refinishers houses to resell them on the market. The company has been in business since 1989 offering franchise opportunities since 1996. Franchisees have collectively bought and sold 85,000 homes across the US. There’s over 900 franchisees across 45 states with this company. The franchise has seen extensive growth over five years. Franchisees have expanded across many new states and there are 300+ new franchisees that have joined in the past five years alone. The low-end investment that could be required for the franchise fee includes $27,000 for investment. On the high-end, you can expect to see around $65,000 for investment. With many homes being purchased far below market value, the profit potential for franchisees ensures that usually after just one or two homes sales, they can start running a profitable business. Buildingstars international is a commercial cleaning solutions company. Based out of St. Louis Missouri they were established in year 1994 offering franchise opportunities in 2012. They offer three unique franchise opportunities for corporate cleaning. There are over 20 master franchise locations across the United States. The company has expanded to include over 12 new locations within the past five years and tens of individual licenses. This is one of the least expensive low cost franchises on our list. The initial unit franchise option is available for just $995 with an equipment supply package around $1000. With an estimated $5000 monthly Gross revenue, Buildingstars can often become profitable as a franchise within just a month of operation. Kona Ice first got started as a brand with a unique identity. The very first trucks began hitting the streets in the year 2007 in Boone county Kentucky and the franchise has been developing since 2008. The company sells frozne treats similar to snow cones and they turn a profit of $1 million for the first time in year 2009.
Who Is The Owner Of Kona Ice? Tom Lamb is the original creator of Kona Ice and the current owner of the franchise based in Florence Kentucky. There are 600 franchise locations across 43 states. Over the last 5 years the company has increased by hundreds of locations and expanded throughout the United States. Although they started in the south, they have continued their expansion throughout most of the nation. How Much Does It Cost To Buy A Kona Ice Franchise? The low end for an initial franchise investment is $15,000. For a full truck with installed equipment a person can expect to pay close to $99,650. How Much Money Can You Make With Kona Ice? Kona ice sells for around three dollars per cone and in some busy areas on a warm day, sales can easily total upwards of a few thousand dollars. It can be a profitable franchise after just a few months of steady work. Synergy Homecare is a franchise that was created in Gilbert Arizona in the year 2001. It’s been franchising since the year 2005. It works as a home care for children, handicapped individuals as well as seniors. This is a franchise opportunity for personal support workers to deliver care assistance under their own business model. There are currently 350 different Synergy Homecare franchises available throughout the United States with a few available outside of the United States. The company has seen growth of around 75 new franchisees over the last 3 years with 100 of these franchisees joining up in the last five years. The initial investment required ranges from $38,000 up to $152,000. With a rise in demand for senior and home care, this is a franchise that has excellent profit potential to recoup any franchise fees quickly. Mint Condition Franchising is a member of the low-cost franchises list as a cleaning provider. A commercial cleaning franchise like this one. The company was founded in Charlotte South Carolina in 1987 after gaining support as a cleaning partner in Houston Texas. The franchising option began in the year 1996. There are 340 current franchises across the USA from Mint condition Franchising. The company has seen growth of nearly 70 franchises over the past 5 years. The cleaning franchise has a low-cost initial investment between $4660 up to $32,400. With a few consistent clients available in commercial cleaning you can see profitability from Mint condition franchising inside of a few months. The Club Z in home tutoring service has been available for the past two decades. The company offers a series of study skills, organization skills and activities for SAT prep and student assistance. They provide training to make industry-leading tutors at almost any grade level. There are 400 locations across the United States. The company has grown outside of the US in the past five years opening six new locations in Canada. They are hoping to continue expanding throughout the US and the world. An investment of $33,800 up to $57,750 is required to start this tutoring program. As tutors are generally paid out at a respectable hourly rate, several tutors or a series of regular students with full time appointments can ensure that the business can become profitable within the first eight months of operation. Sculpture hospitality was originally known as Bevintel and it started in the year 1987. The company was designed to help bar and restaurant owners with the liquor inventory system. The franchises offer food inventory systems, alcohol and draft beer inventory systems and training products for the hospitality industry. There are roughly 375 franchise locations worldwide. Over the last five years the company has seen considerable growth with over 50 new franchises joining into the business. It is no wonder it made our list for low cost franchises. An initial investment between $43,400 and $57,100 is required. As every audit and signup generates a profit for franchisees, the hospitality franchise here can deliver a massive profit with a few regular clients. If a franchisee hits the ground running they can often make the business profitable in a few months. Caring Transitions has a number of services available for seniors and families including downsizing assistance, organization of documents, estate sales, household liquidations, senior relocations and more. It was founded in the year 2006 in Cincinnati Ohio and began offering franchises in the same year. The company has 192 locations in the United States. Over five years the company has grown by over 50 franchises. The total initial investment ranges between $58,112 up to $80,812. With just a few large estate sales and several smaller jobs it may be possible to start seeing profit potential for your franchise. This can lead to profitability after just a few months. Garage Experts is a company that specializes in organization products, floor coatings, garage cabinets and more. It was founded in Anaheim California in 2008 and has continued to offer franchising for the last decade. Garage Experts now has 50 locations across the United States. The number of franchises has doubled in the last 5 years with a demand for this service. A total investment ranging from $48,497 up to $86,426 is required for this franchise. With just 4-6 major garage refinishing jobs, you could potentially see profitability out of this business. It is on our low cost franchises list for that reason. Comforcare opened its offices first in Bloomfield Hills Michigan in 1996. The company started its franchising in 2001. Now if expanded throughout North America and the United Kingdom. The company offers medication reminders, transportation, grooming assistance, meal prep and housekeeping caregivers. There are 200 franchises under this company. The company has grown by nearly 40 franchises in the last five years. The demand for senior caregivers is increasing the number of franchises regularly. The investment required to start this franchise ranges between $76,650 and $175,000. As an established name in home care, the profit potential here is high especially with demand. The training and certifications that are provided as part of this franchise are also well worth the investment. With the annual cost of home care for one client rated at about half of the franchise fee, a few clients can easily ensure this business can be profitable within a year. The company was first founded in the year 1992 under in Orlando Florida. It’s been franchising since the year 1993. It’s made many lists for low cost franchises. Superglass is on our list of low cost franchises because they specialize in windshield repair, glass scratch removal and headlight lens repair which are always in demand. They have 330+ locations across North America. The franchises have grown by almost 50 locations in the last five years. A low investment between $9,910 and $31,000 is required for this franchise. With a low cost buy in and excellent training, this is a business that can become quite profitable with a prime location. It generally takes investors a few months of operation to turn a profit. Kumon math and reading centers are a tutoring and supplemental reading center that was developed by a high school math teacher. It is one of the most proven systems on our low cost franchises list. Toru Kumon first created this method 50 years ago in Japan and founded his tutoring locations in 1954. The method has been franchised since 1958 from a location in Teaneck New Jersey. Kumon is one of the most popular math and learning franchises in North America. There’s 25,000 locations worldwide. In the past five years roughly 1000 more Kumon learning centers have been set up. How Much Does It Cost To Set Up A Kumon Franchise? A Kumon franchise offers an excellent value as one of our low cost franchises. The initial investment ranges from $69,583 to 148,965. Tutoring is handled on a per hour basis but from one learning center, it’s possible to employ multiple tutors and see regular clients every day. Most are able to deliver profitability within six months of being operational. Mattress by appointment is a furniture store and mattress store that offers proven results in over 45 states. It’s no wonder that it’s made our list of low cost franchises. The business has been operating for over 25 years and started franchising in the year 2012. Head offices are located in Greenville South Carolina. There are dozens of locations across every one of the 45 states involved. The company has included an expansion into over 250 owners within the past five years. The total investment required ranges from 15,000 to 25,000. Most can expect to earn as much as $150,000 in their first year of operations. Homes and land started their pictorial magazine back in near 1973 and they have since expanded their franchise to include space for brokers across the United States. The company’s been franchising since the year 1984 and there from Lawrenceville Georgia. Their magazine is now found in 15,000 communities nationwide. The company has seen a steady growth with five new franchises outside the United States in the last 5 years. The investment required is between $47,500 and $116,000. Most estimate that the magazine can lead to profitability within the first year of business. It deserves a spot in the low cost franchises list. Soccer Shots was created by Jason Webb and Jeremy Sorzano, two college professional soccer players. They created a series of programs with 30 to 40 min. weekly drills. The programs are designed for kids and they’ve been running them since the year 1999. The company began in Middletown Pennsylvania and they have been franchising their program since 2005. The children’s soccer program also includes character building lessons and weekly lesson plans. The program now features over 200 locations across the world. The company has grown by over 50 locations in the past five years. The total investment for this franchise program ranges from $41,000 up to $53,950. Soccer Shots franchising LLC deserves a spot amongst the top low cost franchises as most franchisees are able to receive profits within the first few months of operation. Maid Pro franchise was founded is made parole office in the year 1991. It’s been franchising since the year 1997 and it’s made its way to many lists for low cost franchises. Locations have been established throughout North America and the original corporate location was in Boston Massachusetts. There are nearly 250 locations available across North America. The company has grown by over 60 franchise locations in the last five years. Franchisees will require a fee between $17,000 and $68,000. Most of the profits in this business can be delivered within the first several months of operation. It has a quick payback period as one of the low cost franchises, especially if you have some regular business. Merry Maids made our list of low cost franchises because they were founded in the year 1979. They have been franchising for over 38 years since 1980. Their original location was in Memphis Tennessee and today the companies responsible for cleaning over 300,000 homes in North America. The company today has over 1500 locations across North America. They have grown steadily, increasing the number of US owned franchises in the last five years by over 200. A franchisee needs an initial investment between $86,750 to $123,750. The company can rise to profits quite quickly. With an established name like this it deserves a spot among our top low cost franchises because most can recoup their investment within the first six months of operation. Complete weddings+ events offers a full-service event organizing business for weddings and corporate events. They can book everything from DJ booths to videographers, photographers and venues. The company was first founded in the year 1974 and they’ve been franchising their business since the year 1983. Based out of Omaha Nebraska, they are a strong candidate on our low cost franchises list. The company has over 200 locations across the United States. The company has grown by 30 locations in the past five years. The investment required to get into the wedding business with this company ranges from $26,350 up to $48,650. With a business that’s constantly in demand, an established name like this one can ensure that ranch eyes ease will easily recoup their investment especially through a busy wedding season. The happy feet program is a soccer instruction program is designed for ages to up to the age of 18. Andy Barney developed this program after several field trips traveled to his indoor soccer facility. The program features age level lessons from the Mini kickers programs designed from ages 3 to 5 up to drills for youth soccer programs. This is a franchise that’s experiencing rapid growth on our low cost franchises list. It has been in business for 11 years and it’s based out of Marriam KS. The company today has over 120 locations. The company has grown by 35 locations in the last five years. The initial investment that’s required ranges from $22,500 up to $29,400. The profits during a busy soccer season can easily recoup the investment on the franchise fees. My Gym is a business that was founded in the year 1983 and it deserves a space in our low cost franchises list. The company has been franchising since 1995 from its Sherman Oaks California location. The tumbling in exercise class offers fitness programs for kids aged three months up to nine years of age. It was created by Yacov and Susie Sherman. The franchise today has nearly 500 locations. The company has grown by over 200 locations in the last five years. The company requires an investment of $36,000 up to $249,700. The profit potential of this business can be easily restored over just a few months in business. Home inspection franchises are popular among our low cost franchises list. Win home inspection is another established name that first started in the year 1993. They were franchising in the year 1994 and their base that of Franklin Tennessee. There are locations in 32 states and the business now has over 200 franchise locations. The company has grown by over 25 new franchise locations in the past five years. The investment required for Win home inspection franchising ranges from $44,250 up to $67,500. During a busy buying season, it is possible for a franchisee to recoup their investment within just a few months of operation. Most are able to turn a profit within the first year. CPR is a unique opportunity on our low cost franchises list. This cell phone repair company was founded in the year 2004 and started franchising their repair business in the year 2007. The company fixes a variety of electronic devices from cell phones to gain systems. They were founded in Independence Ohio. The company offers low cost franchises across North America. Today they have over 360 locations. Within the past five years they’ve grown by over 120 locations. In order to carry the CPR title, investors will need between $58,150 up to $176,000 for the franchisee title. The overall profits associated with cell phone repair can be fairly lucrative. Most small shops are able to recoup their investment over just a few months of operation. Fresh Coat franchises offer commercial painting services. The company can paint an entire house or just one room if required. The company is known for their eco-friendly operations and franchisees don’t require any type of previous painting experience. Fresh Coat is an excellent option for low cost franchises if you’re planning on getting into traits. They were founded and begin franchising in the year 2005. They started in Cincinnati Ohio. The company has 123 locations across the United States. The company has grown by 15 locations in the past 5 years. Franchisees require between $44,900 and $76,750 to get into this low cost franchise. The profit potential of this business is high with several large painting contracts. Most are often able to make a profit in their first year of business. Fiesta auto insurance and tax was born in the year 1999. They are one of the top low cost franchises and they’ve been offering their services as a franchise since the year 2006. The company offers conversions from existing businesses to the fiesta brand or startups. They offer boat, auto and motorcycle insurance as well as home and business insurance. The company has grown to 175 locations across the United States. They have grown by over 50 locations in the last five years. The investment required to start in the insurance business is between $49,662 up to $107,458. The company offers an excellent profit potential. By selling several large policies it’s possible to start making money back within the first 1 to 2 years of the business. Mosquito squad is a franchise that was formed in the year 2004 and they begin franchising their company in the year 2005. Based out of Richmond Virginia, they are a strong outdoor living brand that helps with the eradication of mosquitoes. The pest control company offers an inspiring opportunity for low cost franchises you could invest in. The company today has over 220 locations across the United States. The company has grown over the past five years to include 60 new locations. The overall investment required ranges between $29,600 up to $69,625. The overall profit potential of this business sits quite high. If you’re in an area where mosquitoes can be a common pest, the company can offer an excellent chance to pay back your investment within just a few months or contracts. Pest control with a company like this is a great option for low cost franchises. The Miami-based company called Estrella insurance was founded in the year 1980 and today it is an excellent representation of one of our low cost franchises. They have been franchising the company since the year 2008. Today they can offer automotive insurance, home insurance, commercial insurance, motorcycle insurance, RV insurance and business insurance. The company has 120 locations across the United States. They have grown by 60 locations in the last five years. The investment required ranges from $49,950 up to $84,000. The profit potential of this business is quite high especially if you are able to sell several different insurance policies. With the profit potential included here, you can generate an excellent business opportunity. The tutoring Center franchise Corporation got started in the year 1994. Franchising began first in the year 2005 and each center can deliver a diagnostic assessment for tutoring in children. Discovering a child’s strengths and weaknesses in recognizing areas where they can improve can be a big role of the tutoring center and franchise Corporation. The company today has over 90 locations. They have grown by over 30 locations in the past five years. The base investment required for the tutoring center franchise ranges from $91,500 up to $136,200. Tutoring is an excellent business to get into as one of our low cost franchises. Getting involved with this business can often present you with profits within the first two years of operation. Just between friends was a franchise that was founded in the year 1997. The program was founded by two women in Tulsa Oklahoma when they created a consignment sale. Today the business features over 1500 consignors and they’ve been franchising since the year 2004. Their main offices are located in broken arrow Oklahoma. There are 150 locations across the United States. The company has grown by 12 franchise locations in the last five years. The investment to become a franchise consignment location ranges from $32,774 up to $45,449. Considering the very first consignment sale that this company created earned a profit of $2000, this is a business that can be quite lucrative if you are able to regularly organize sales. Making your money back may only require a few large sales from the proven systems of this franchise. Stratus Building solutions franchises have been in business since the year 2004. They have regional offices nationwide and they complete green cleaning services using their proprietary chemicals. Stratus Building solutions has been in business since the year 2006 as a franchise. They are a member of our low cost franchises list and their main location is in North Hollywood. The company today has over 1500 locations. The company has grown by 500 locations over the past five years. Initial investment is particularly inexpensive for this business among our low cost franchises. You can get started for as little as $3450 up to $48,350. With a few cleaning contracts lined up it’s possible to make this a profitable business within just a few months of operation. The business is very well-established and they are even responsible for cleaning medical offices today. The seniors choice is a seniors franchise that offers non-medical care for seniors. The company offers a series of personal care services, companionship services, meal prep, housekeeping, medication reminders and Alzheimer’s care supervision. The goal of the company is to help seniors continue living independently. The company has been in business since the year 1994. They have been franchising since the year 2007 and they are located in Incline Village Nevada. The seniors choice is an excellent opportunity for low cost franchises if you’re interested in getting into seniors care. The company now offers 150 locations across the United States. The company has lost eight franchise locations in the last five years but many of their franchises have strengthened in their profitability. The overall investment required ranges between $45,000 up to $65,000. The potential profits from this business are quite high. With the average senior in non-assisted medical care requiring several thousand dollars as an ongoing assistance plan, a few clients can recoup the franchise costs quickly. The Oxi fresh company started in the year 2006 and they began franchising in the same year. The company began in Lakewood Colorado quickly expanding into Denver. We included them on our list of low cost franchises for their tremendous benefit they have made in the carpet cleaning industry. Oxi fresh provides steam cleaning for tile and grout, rug cleaning and upholstery cleaning services. They use nontraditional carpet cleaning methods that ensure faster drying and improved results. There are 340 locations across the United States. The company has grown by almost 100 locations in the past five years. The investment required for this business is generally a flat $37,900. The overall profits from this business can definitely increase what you start to capture your own clients. Most franchise owners in the United States are able to turn a profit with just a few regular clients and after a few months in business. Kitchen tune-up is a company that’s related to cabinet distribution. They starred in the year 1975 and founded their modern company name in the year 1986. Kitchen tune-up started franchising in 1988 and they deserve a spot on our top low cost franchises list. They are located in Aberdeen San Diego. They specialize in restoring interior wood surfaces, cabinet refacing, cabinet read during, installation of new cabinets and one day wood restoration solutions. They have 190 locations across the United States. The company has grown by over 40 locations in the past year. The overall investment required for this business is around $49,000. The profit potential of a cabinet refacing business can make itself known after just a few service appointments. With the cost of cabinet refacing often totaling into several hundred or even several thousand dollars for a complete replacement, there is the availability to start profiting from this business after a few service appointments. 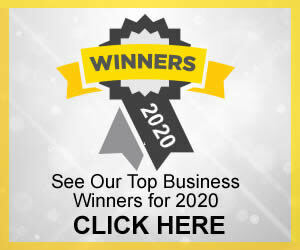 Car Wash Franchise – What’s The Best Car Wash Franchise?